I've graced more than 28 magazine covers in the past 3 years. The global fitness industry has branded me "The World's Most Ripped Fitness Model." How important is water in helping me reach my leanness goals? Water is one of the most abundant and important substances in your body, making up 55-75 percent of your total bodyweight. Even the food you eat is roughly 70 percent water. When we don't get enough water, bad things happen: a 10-percent reduction of water in your body can make you sick and a 20-percent loss equals death. You can survive weeks without food but you can only survive a few days without water. Clearly, water is just as important to your survival as it is to helping you reach your fitness goals. I'm in the business of getting you ripped, so let's get down to it. If you are dieting, it is important to drink water so your liver can effectively metabolize body fat. It's also important to drink lots of water when you are carb-loading so your body can store glucose as glycogen. It's also possible to argue that drinking water can help you lose weight because it makes you feel full and therefore less apt to eat. However, the medical research is conflicted: some studies say drinking water helps you eat less, other studies says it doesn't. It's probably smart to couple water with a smart diet. Don't depend on water to make your food decisions. From a fitness and bodybuilding perspective, the more water inside your muscles, the better they function. More water in your muscles increases strength and size capacity. 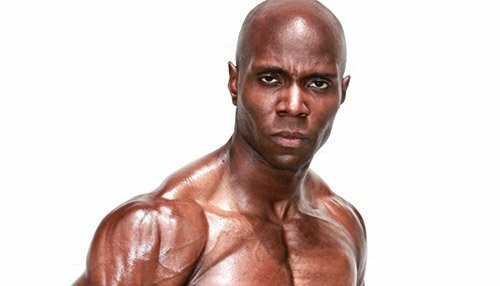 Nutrition consultant and author Chris Aceto explains: "The consensus in the bodybuilding community is that high water storage within muscles acts as an anabolic factor. This allows the muscles to maintain a positive nitrogen balance, which directly impacts muscle growth." Just like plants, our muscles need water to grow. Not sure how many glasses you should down? The International Sports Sciences Association (ISSA) recommends drinking 8-12 glasses of water per day. The ISSA also recommends that you drink 16 ounces of water for every pound of weight lost during exercise. It typically takes your body 15-to-20 minutes to absorb 16 ounces of water. The International Sports Medicine Institute has a different formula: 1/2 ounce per pound of body weight if you're not active (that's ten 8-ounce glasses of water for the 160-pounder), and 2/3 ounce per pound if you're athletic (13-to-14 glasses per day at the same weight. Make sure you drink water before and after you exercise. Time to join Hydration Nation. Water is great for other reasons. In April of 2002, researchers at Loma Linda University found that people who drank five 8-ounce glasses of water daily were about half as likely to die of coronary heart disease as those who drank two glasses of water or less. Drinking plenty of water may help relieve headaches. Some of the most common headaches are due to dehydration. Proper hydration will help keep your joints and muscle lubricated so you're less likely to cramp or sprain. Drinking water improves the vitality of your skin. You will look younger if your skin is healthier. Drinking water regulates your body temperature and helps fuel your muscles. Water also helps flush out the toxins and waste products from your body. Without water, your heart will have to work harder to pump oxygenated blood to all cells, and so will the rest of your vital organs, which can cause fatigue. Drinking water will relieve fatigue of this kind. Although drinking water is important, don't get carried away and drink too much. Having too much water in the body can lead to hyponatremia - when the plasma sodium content reaches a level below 135 milliequivalents/liter. The normal blood sodium concentrations are typically between 136-to-145 milliequivalents/liter. Over the last couple of years, several people died from hyponatremia. Good rule of thumb: If you find yourself feeling more fish-like than human, there's a good chance you're drowning in too much water.